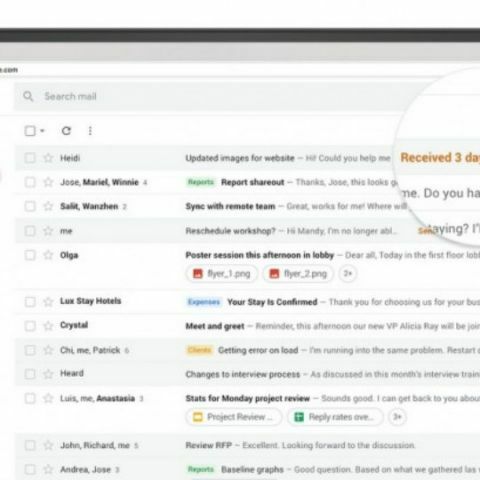 Google has announced that it will start rolling out the new Gmail design starting from July with an opt-out option for a limited period of time. By the end of October, every Gmail user will have to move to the new design. Google has announced its plans to to phase out the old Gmail design and said that the roll out for the redesign will start from July. The technology giant has released a schedule for moving to the new Gmail design and prepare users, organisations for the general availability (GA) launch. According to a blogpost, every user will have to move to the new Gmail design by the end of the year. The first roll out will be for G Suite users - people who have paid accounts through their company or organisation. “At the moment, the new Gmail is an Early Adopter Programme (EAP), and customers can choose to participate (or not) at the domain and organisational unit levels,” Google said. After the new Gmail launches for general availability (GA) in July, G Suite admins will have several options in the Admin console, including one for immediate transition to the new Gmail and an option to opt in for the new Gmail at the time of their choice, among others. Approximately 12 weeks after the GA announcement, that is in October, all users will automatically be migrated to the new experience, with no option to opt out. Users who have already transitioned to the new Gmail will lose the ability to opt out as well. The announcement comes a month after company Google CEO Sundar Pichai showcased a Gmail design overhaul with some AI smarts at I/O 2018. Google started rolling out a new ‘Smart Compose’ feature to Gmail in May, which uses Artificial Intelligence (AI) and Machine Learning (ML) to suggest phrases while typing emails. Recently, the company announced two new features: Gmail offline and nudging. While Gmail offline helps users work without interruption even when they don’t have an internet connection, the nudge feature “nudges” users to reply to emails they may have missed and to follow up on emails for which they haven’t received a response.